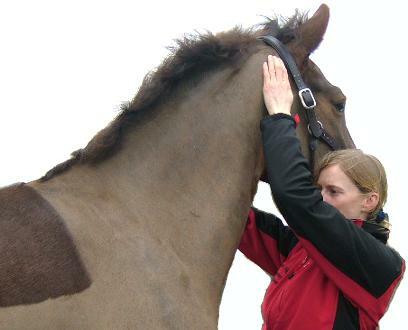 Caroline Hicks - McTimoney Animal Therapist - What is McTimoney Animal Manipulation? "McTimoney manipulation is a drug-free non-invasive whole body (holistic) treatment which will work to relieve, realign and balance the musculo-skeletal & nervous system"
The spinal manipulation technique is named after John McTimoney who in the 1950's adapted human techniques to apply specifically to animals. In 1972 he founded the McTimoney College in Oxfordshire where human chiropractors and animal practitioners are trained. McTimoney manipulation is a drug free, non-invasive, whole body (holistic) treatment, which works to realign and balance the musculo-skeletal, and nervous system. The treatment helps to restore health, movement, soundness and performance. The practitioner will take into account the case history, the gait analysis, any problems that have been identified and supply detailed after care advice and exercise regimes. Next: What happens during a treatment?